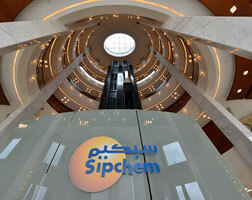 Having announced the project in 2015, Saudi International Petrochemical Company (Sipchem) says its PBT plant, owned by Sipchem Chemical Company, an affiliate of Sipchem, has commenced commercial operations. The plant is located in Jubail Industrial City. The PBT plant performance tests were completed successfully ensuring efficiency, capacity and product quality. The financial impact of full commercial operations will be reflected in the company financial results as of the third quarter of 2018. The total production capacity of the PBT plant is 63,000 tonnes/year. PBT is a thermal engineering polymer used in many applications, such as for car manufacturing, electrical/electronic products, and engineering plastic. On this occasion, Eng. Ahmad Al-Ohali, Chief Executive Officer of Sipchem, commented that the commercial operation of the PBT plant, the first of its kind in the Middle East, is an important step in Sipchem expansion and growth strategy. The addition of the PBT plant will allow Sipchem to further realize the benefit of its integrated package of products and will strengthen the added value chain. The PBT plant uses butanediol produced by International Diol Company (IDC), an affiliate of Sipchem, as a feed material for producing the PBT. Sipchem owns 100% of the capital of Sipchem Chemical Company.